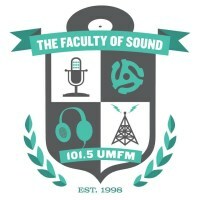 UMFM 101.5 is cur­rent­ly look­ing for a Pro­duc­er. This six-month posi­tion is an ide­al posi­tion for a cre­ative indi­vid­ual with a proven expe­ri­ence in radio and/​or pod­cast pro­duc­tion. The Pro­duc­er is expect­ed to play a lead­er­ship role in devel­op­ing, writ­ing, direct­ing, edit­ing, and pro­mot­ing a brand new13-part series about Rec­on­cil­i­a­tion. The posi­tion will pay $35.50 per hour, plus MERC’s, to start based on a 20-hour work-week. Pro­duc­ing a 13-part radio and pod­cast series about Reconciliation. Lead­ing sto­ry meet­ings and deter­min­ing episode content. Field and in stu­dio audio recording. Writ­ing and vet­ting show scripts. Over­see­ing the work of and men­tor­ing asso­ciate producers/​researchers. Liais­ing with mar­ket­ing team to cre­ate and exe­cute com­mu­ni­ca­tions plan to pro­mote the series. Liais­ing with uni­ver­si­ty part­ners to cre­ate learn­ing mate­ri­als that cor­re­spond with each episode. Appli­ca­tions for this posi­tion will be received up to mid­night on Feb­ru­ary 7th, 2018.